A couple of weeks ago we published an article on the best Yosemite features of which there are many. Yosemite has brought with it great new updates which has helped a lot of users. However, like any product, even if it is Apple’s, it has flaws; minor issues which may annoy some people. But there are also ways around these. 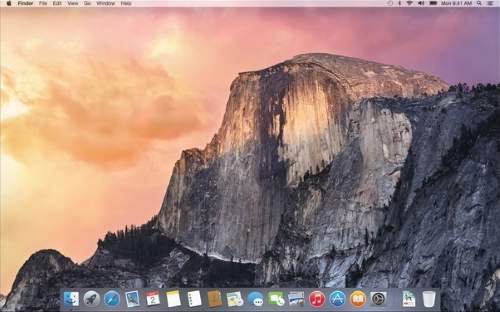 In this article we list 5 Yosemite annoyances and how to fix them. 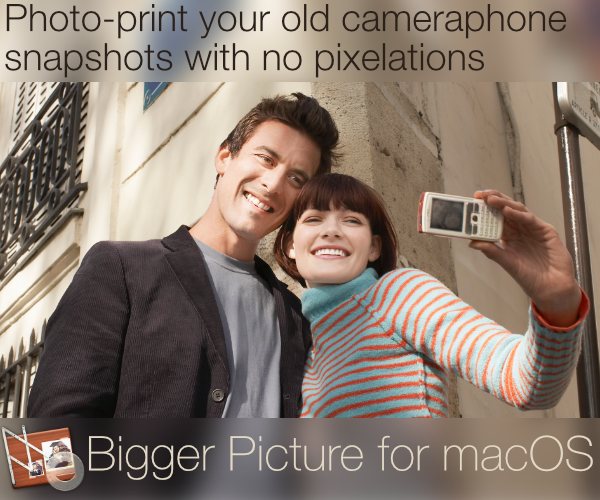 Some people find that the new Translucence feature gives an “extra dimension” to the display, as Apple had promised. 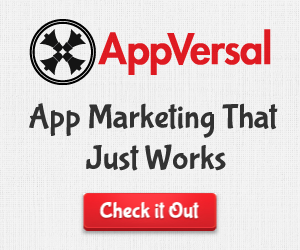 But for others it can be very annoying to have the menus blurred due to the background peeping through it. Fortunately, the fix to this can make both sets of people happy. You don’t have to turn this feature completely off, you can simply adjust it. 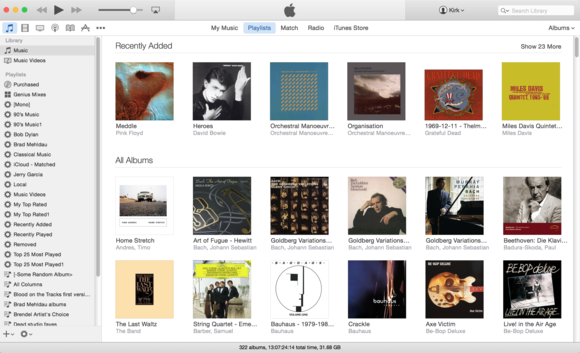 So you want to listen to music on your Mac and open iTunes. Lo’ and behold, there is no sidebar which displayed your Libraries and Playlists. iTunes 12 has got rid of it. 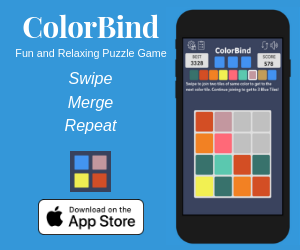 But whether Apple agrees or not, a lot of people find the sidebar useful in quickly accessing their playlists or to view the connected devices. There is a partial workaround, i.e., you get the sidebar, but it only displays your Playlists. Fix: When you’re in a Media Library view, click on the Playlists tab on the top. This will bring up the sidebar with all the Playlists in that library. For whatever reason, simplification or tidiness, in Yosemite you no longer see the complete URL of the website you’re visiting. Most of the time, this is not a problem. However, in some situations, you would like to, or even need to, know the complete address of a page. 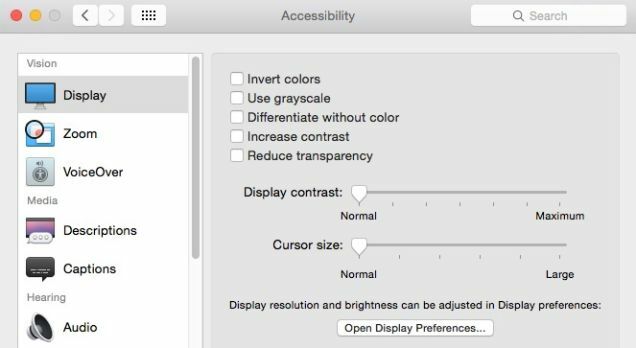 Fix: Open Safari Preferences. Click on the Advanced tab on the top right. 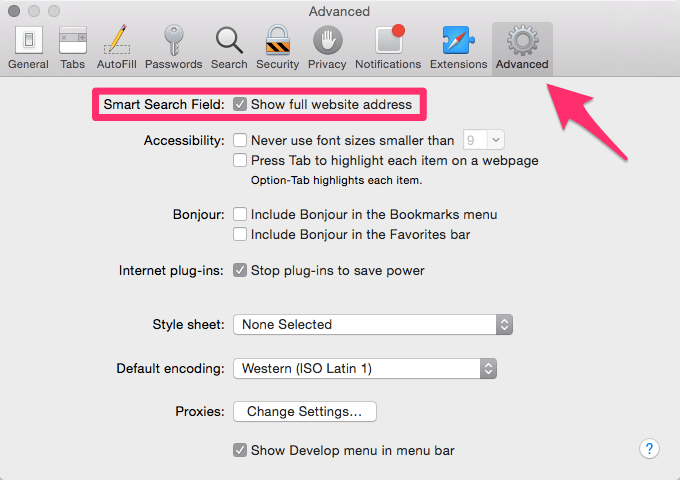 Check the “Smart Searh Field: Show full website addresses” box. We covered this feature of Continuity in our “Top 5 Yosemite Features” article — the ability to make phone calls from your computer. But for some people receiving phone calls while they’re working on their computer may be a step too far. Not everyone wants to be disturbed, especially if they’re engrossed in something important. But you can turn this feature off, while keeping the rest of the Continuity features on. Fix: Open FaceTime Preferences. Uncheck the “iPhone Cellular Calls” box. All Mac users find the Spotlight search extremely useful when searching for files on the computer. 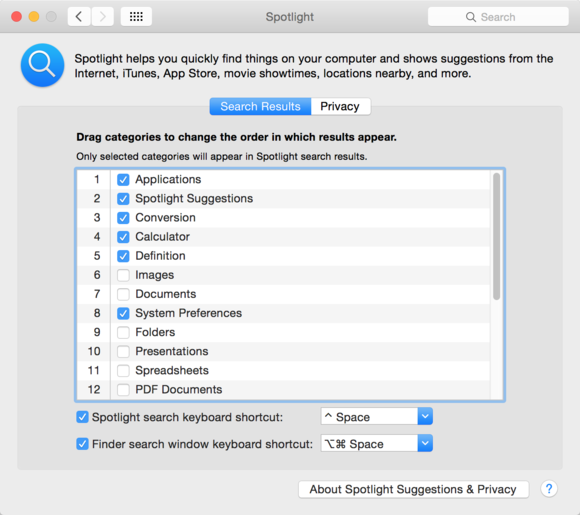 However, with Yosemite, the Spotlight search has been extended to the internet as well. So the information you get back for a search is quite detailed. This could be useful on some occasions but not always, and not for all users. Fix: You can turn off some of the output categories by going to System Preferences → Spotlight. Uncheck the categories that you do not wish to be outputted in the search result. Are there any features that you don’t like in Yosemite? E-mail us or let us know in the comments. We will get back to you with the fixes if there are any.